In this entry, Charlotte Mabon ’15, serves as guest blogger. Below is her reflection from a recent Community Engagement Lunch Discussion. 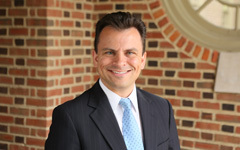 2002 William & Mary graduate Abbitt Woodall is now the director of a local non-profit agency called Housing Partnership Inc. Located right in Williamsburg, HPI uses state and local government funds to provide essential housing repair services to low-income families and individuals in the Williamsburg community. These housing services include emergency home repairs, home modifications for persons with disabilities, entire home replacements, as well as indoor plumbing projects. Their clientele mostly consists of individuals and families that are elderly, disabled, and make roughly about $12,000 a year. A major focus of his work though, revolves around a need that most people in the United States take for granted: indoor plumbing. Most individuals may think that in this day and age, adequate and sanitary indoor plumbing is a luxury afforded to all. In the US today over 670,000 US households are in fact, without indoor plumbing. Access to adequate indoor plumbing is something that not all possess, and this particular problem is right in our backyard. Since they began in 2005, Woodall and the HPI team have repaired over 80 houses in the Greater Williamsburg area that lacked indoor plumbing. Overall, HPI has invested about $3.5 million, with each individual housing repair estimating at $700. But it is important to note that costs can change depending the repairs needed to be done – some repairs may cost less or substantially more. Again, when people think about communities that lack proper indoor plumbing, the mind tends to go to rural, backwoods areas. Though these areas in Virginia are in need of indoor plumbing repairs, Woodall stressed that homes lacking indoor plumbing and proper septic systems can be found in both suburban and urban areas. Houses in the Williamsburg area that lack indoor plumbing or have poorly constructed septic systems that fail, are built on areas of land with poor soil. Most of the houses HPI repairs include elderly clientele that had service-industry jobs before they retired. But with most service-industry jobs, the ability to afford housing on land with “good” soil is difficult to find at an affordable price – the poorer the soil, the cheaper the property. HPI’s elderly clientele also typically lack the incentives, ability, and finances to move from an older house that may not have the best septic system, to a new one that does. Moving to have a better toilet can remain low on a list filled with other priorities. Even with Social Security, Medicare and Medicaid benefits, it can still be difficult to get by financially, making housing repairs that much more costly. Inadequate indoor plumbing is rarely if ever, a hot-topic issue when discussing social injustices. One can argue that there tends to be a hierarchy of social issues, with some receiving more attention than others. This can be caused by the nature of the topic itself, the political charge behind the topic, and social standing of affected communities within a specific social issue. Essentially, it can be difficult to see a problem if one is not faced with it. Most of us have access to both public and private restrooms, and it can be hard to get out and see the sheer size of Williamsburg as a college-student. Williamsburg is a city that extends far beyond the Sunken Garden and The Cheese Shop. But if you take the time and look past the manicured lawns of CW, poverty in Williamsburg does in fact exist. The need is there and as part of the Williamsburg community, it is crucial we recognize our fortunate position to help. If looking for a chance to enable members of the Williamsburg community with better access to an essential need, HPI is the perfect place to start.